Author and journalist McIntosh Polela engaged with staff and students at the University of Johannesburg (UJ) about his book My Father, My Monster, on 17 and 19 September 2013, marking the end of the UJ Library and Information Centre’s UJ Reads reading project for 2013. The event took place on all four campuses, and consisted of discussions held in each of the libraries. 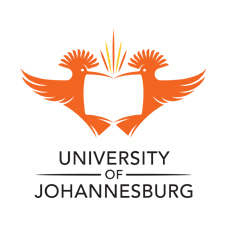 The UJ Reads initiative is aimed at motivating students and staff to read for fun and relaxation, as well as to expand their horizons on various important subjects of life. Polela obtained his master’s degree from the London School of Economics in the United Kingdom in 2006. He has ten years of journalistic experience under his belt, including five years with eTV. He was the spokesperson for the Special Investigation Unit, better known as the Hawks. His book My Father, My Monster, was shortlisted for the Alan Paton Literary Award in 2011. UJ Reads has proven to be an exciting initiative designed to grow our knowledge, promote a culture of reading and create dialogue around issues that face our current generation.